At some point, you are likely going to want to build a mailing list to go along with your website or blog. 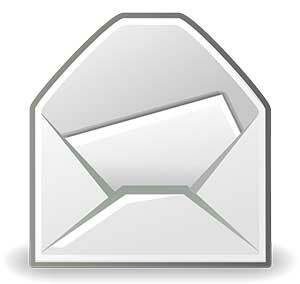 Building a mailing list is beneficial as you are also building your own customer base. One of the best ways to build a mailing list is by using a landing page to capture emails. Landing pages work well because you can direct your visitors to take a specific action which is to provide their email address. I’ll explain how you can use a landing page to build a list and the various ways to create a landing page yourself. Let’s get started! A landing page is used to direct your visitor’s attention to one specific action. You can sell a product or capture a visitor’s contact information such as an email address. You can collect as much information as you want depending on your marketing goals. For example, a real estate agent may want to collect a visitor’s name, address, phone number, and email address. Whereas an affiliate marketer may only need a visitor’s email address. It really depends on what your goals are. 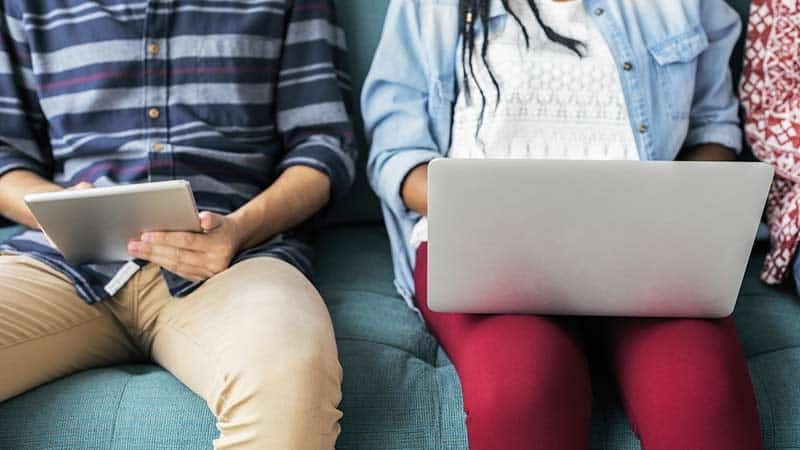 What does remain the same for most landing pages is the offering of a freebie (incentive) to get someone to volunteer their contact information. Most people do not willingly part with their email address due to the large number of email messages that they receive on a regular basis. Therefore, it helps to offer an incentive such as an eBook in exchange for a user’s email address. You can cater your free offer to your niche. If we go back to our real estate agent example, providing a visitor with a free eBook outlining the steps needed to sell their home would be a good freebie. 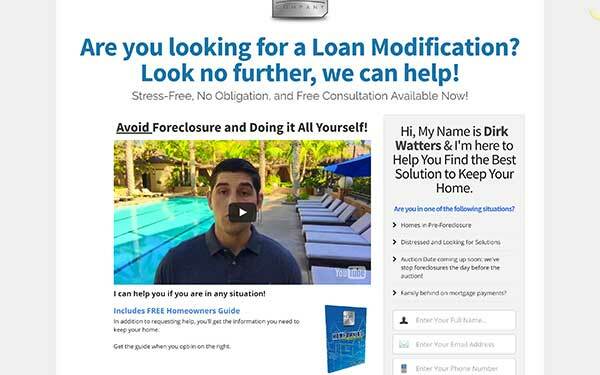 The landing page below gives away a guide to help people avoid foreclosure. Whatever you offer, ensure that the information is helpful to your niche. Simply placing a form on your landing page doesn’t make it functional. You will still need some software on the backend to store the email addresses that you collect as well as send emails to your list. This software is referred to as an autoresponder. An autoresponder is a type of service that enables you to send automated messages to your list of subscribers. 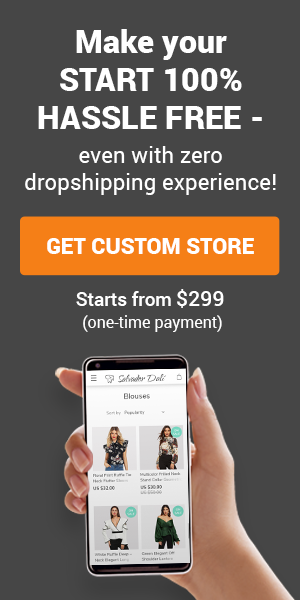 The autorsponder service lets you create sign up forms that you can connect to your landing page. When your visitors fill in and submit those forms, the autoresponder service adds them to your mailing list. You can create and store email messages in your autoresponder and schedule them to send out at specific times. 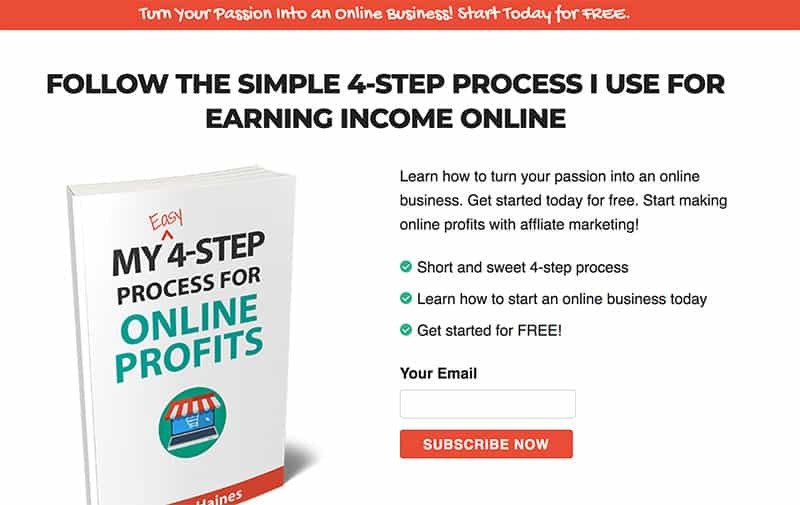 For example, if you were offering a free 5-day email course, you could set up the five course messages in your autoresponder to send out each day for five days. You can also send unscheduled email messages to your list any time that you want. Some marketers send a daily email message to their list. I use AWeber for building my mailing list. It is one of the original autoresponder services and has been in business since 1998. I find it easy to use and affordable as well. Your landing page isn’t useful without a constant flow of visitors landing on it. Like any website, it requires marketing your page to get visits. You can link to your landing page from your blog, email signature, forum profiles, social media profile pages, and more. One of my favorite ways to promote my landing pages is with YouTube. Whenever I create videos, I link my landing page URL in my YouTube video description area. PPC (pay-per-click) marketing is also another option to drive traffic to your landing page. You can place ads on Facebook, Bing, or Google Adwords. Anytime you’re using paid traffic you want to make sure you have a budget and stick to it. It is very easy to spend a lot of money on PPC advertising, especially if you are new to it. Another way to promote your landing page is by buying a new domain name and hosting your page on it. You can promote that domain name in the places I mentioned above. For example, I have a domain name called myaffiliategameplan.com. I could place a landing page on that domain with a free offer. Having your landing page on its own domain name makes it easy to remember and easy to promote. You can get a free domain name and host your landing page with a web hosting provider such as HostPapa. They are one of the web hosting providers that I use for my niche blogs. Now you may be wondering how exactly do you create a landing page of your own. If you do not know HTML, CSS, or have any web design skills, you won’t be able to create a landing page of your own. 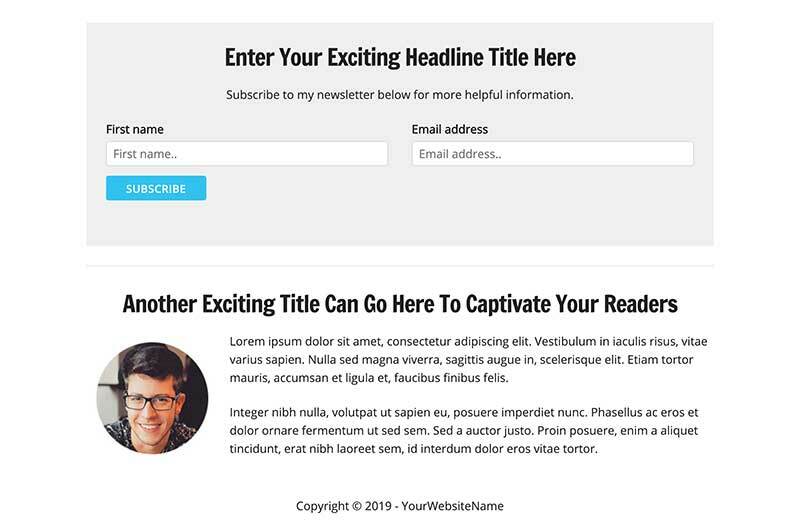 I am also able to connect my autoresponder service (AWeber) to this landing page as well. You can see it in action by clicking here. If you like this landing page and want a copy of it, I am selling it for $5 for a limited time. You can also create a landing page using your blog. All you have to do is create a new page and copy & paste your autoresponder form code into the page. 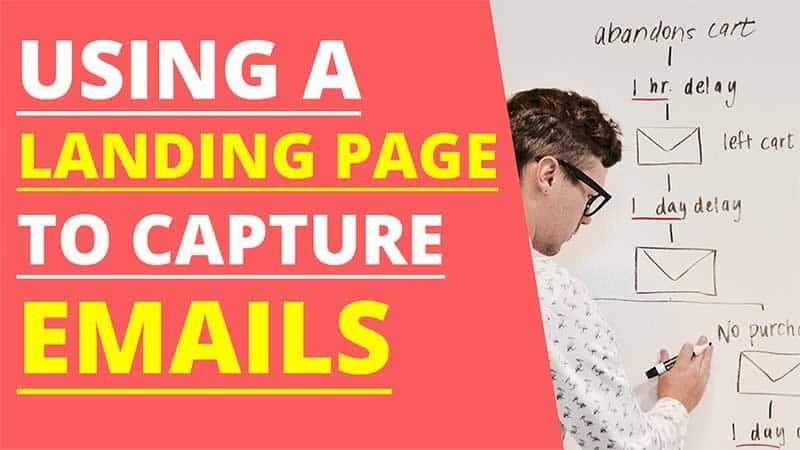 If you want something fancier, you can use services such as LeadPages which is a drag and drop software to create landing pages and connect to your autoresponder service. How Soon Should You Start Using a Landing Page to Capture Emails? You can begin building your email list as soon as you launch your website. What is important is that you continue to offer value to your email subscribers as you do on your website. What you write and how often depends upon your personal preference. There are marketers that I know of that send daily messages while others only email when something significant is happening. I didn’t start building an email list until about a year after starting my blog. I was hesitant because I didn’t know what I would send to my subscribers. However, I treat my mailing list like my blog. 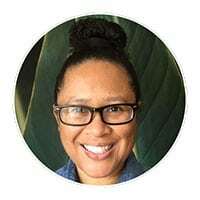 I create content that I feel (and hope) is useful to my readers. Stay value-minded and you won’t have any problem creating messages for your list. You can promote your landing pages anywhere that you can post a link such as your social media profiles, YouTube video descriptions, and more. What are your thoughts on landing pages and list building? Leave your feedback in the comments below. Are you ready to start building your mailing list? You can start with a 30-day free trial of AWeber.